American River College staff are coming together to form the group “Men of Color,” which allows students to voice their opinion in finding more efficient ways to create a welcoming environment at ARC. Men of Color is the beginning stages of constructing a group to help ARC staff understand the cultural diversity between students on campus and create new ways to help every student excel. Attending the first meeting Feb. 17 was ARC CalWorks counselor Vinson Saldivar. “Personally welcoming students can make a big difference, we all started as students so let’s be more supportive,” Saldivar said. An ARC student spoke on the importance of having counselors that are supportive. “Talking to a counselor that welcomes you so well, makes you want to stay. I hate talking to counselors that lead me to the wrong path,” said Pardis Pezeshki Rad, a criminal justice major. One main focus in this discussion was student run around, as every student has wasted multiple hours being sent in the wrong direction. “If ARC staff understood how each department runs it would help move students to the next place needed,” said Saldivar. It’s understood that every student has a different background and their own values. “When students are scared to ask or don’t have the right words to say, be more mindful that you are smart and educated making us afraid to ask, give out important information without students asking,” said Smith. “Students need a way to hear about current events they may want to do, having teachers give out information would be a good way for students to get it, a speaker came into my class and it really brought the students together by asking good questions, the class is diverse but it brought us all together,” said Rad. Also attending the meeting was Steve Sagura, dean of the public safety center interested in creating a more diverse atmosphere in the workforce. Sagura is reaching out to ARC students that may have interest in public safety. 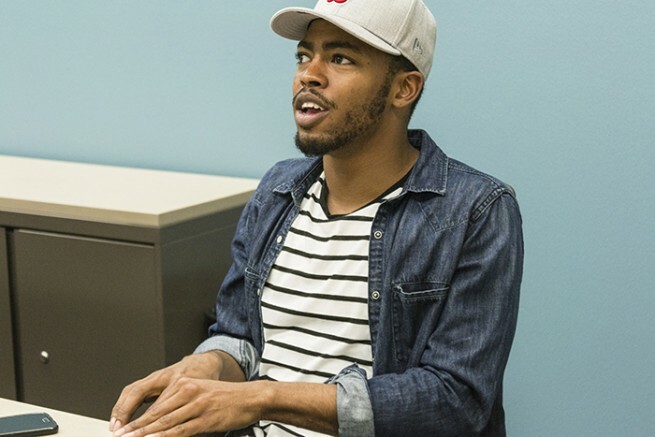 Hearing student voices and making connections with students is the sole purpose of Men of Color. This group is an open public meeting for all ARC students. Nicole Kesler is a first-semester student on the Current, where she serves as a staff member. She plans to transfer and receive her BA in communications and journalism. Be the first to comment on "ARC staff organize group to discuss diversity"